Medications such as Phentermine will be prescribed to the patient. Combination of low calorie diet matched with injections of HCG. Lipoden Extreme Injections can be administered to the patient. Dr. Jeffrey Pardee has been practicing medicine in Oklahoma since 1975. A graduate of the University of Oklahoma School of Medicine led him to a career at Mercy Health Center where he became the Director of Emergency Medicine Services. 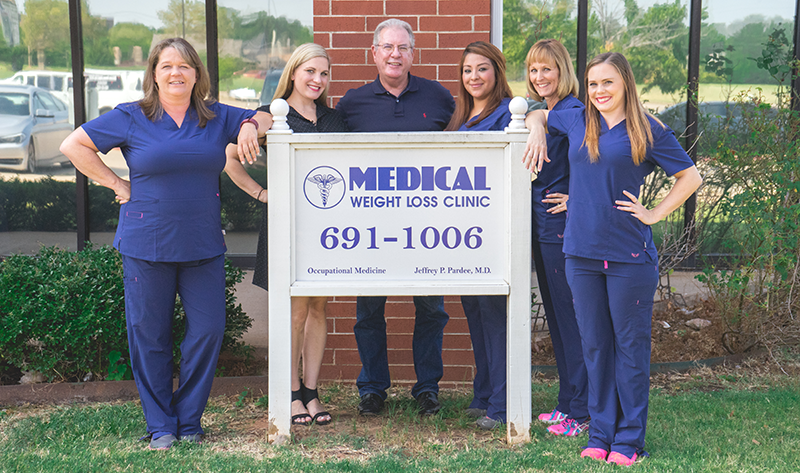 Later practicing at Edmond Regional Hospital, Dr. Pardee decided to start his own practice focusing on Occupational Medicine and medically supervised weight loss. Dr. Pardee is no stranger to being overweight. As a young child, he was overweight and as an adult he also experienced weight gain after undergoing a heart procedure. He understands the frustration that can occur when trying to lose weight. Each person is different and our customized approach, tailored to individual needs, allows us to create achievable goals that are based on your lifestyle.